OnePlus has always been dedicated to upgrading its phones to the latest software update and also pushing out regular bug fixes and improvements. The company is doing the same with the OnePlus 6 as well. To recollect, the OnePlus 6 was launched earlier this year with Android 8.1 Oreo and as the company promised the phone has been recently been upgraded to Google’s latest Android OS aka Android 9 Pie. In fact, OnePlus 6 is the first phone from the company to get Android 9 Pie’s sweetness. The smartphone is now receiving another beta update which brings new features and improvements. 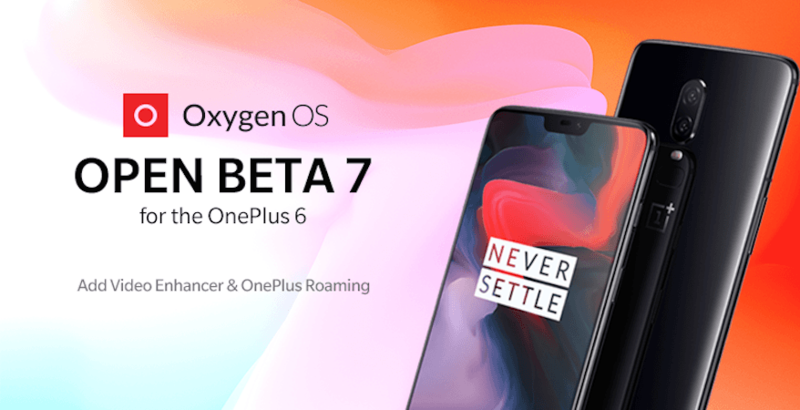 OnePlus is rolling out OxygenOS Open Beta 7 update to OnePlus 6 users. With the update, the company is bringing a range of new features to the OnePlus 6 starting from new roaming option, new video enhancer feature, among other things. Additionally, the OnePlus also brings general bug fixes and improvements on performance and also UI. OnePlus Roaming Introduced: How Does it Work? The OxygenOS Open Beta 7 update brings several new features to the OnePlus 6 users, but the key highlights of the update are the coming of new video enhancer and OnePlus roaming. So, what is OnePlus Roaming? “OnePlus Roaming lets you surf the internet without a local SIM card. It’s like a virtual sim (only data, no calls); it should work globally in most of the countries/regions, and it will list out the plans available for the country/regions you are in so that you can purchase a suitable plan and access the Internet without a SIM,” the company explains. How to Enable OnePlus Roaming? For this, you’ll need first head to the Settings menu, then to the Wi-Fi & Internet option and on click this option you will see an option called OnePlus Roaming. Click on it to enable the feature. And how to use OnePlus Roaming? STEP 1: The users will first need to “Purchase Package”. They will basically need to select the packet they want and click on the buy option. And then to get it done select the finish payment option. STEP 2: “Enable Package”. “After arriving at the destination, choose the purchased plan from the ordered list and enable it,” OnePlus notes while explaining how OnePlus Roaming works.